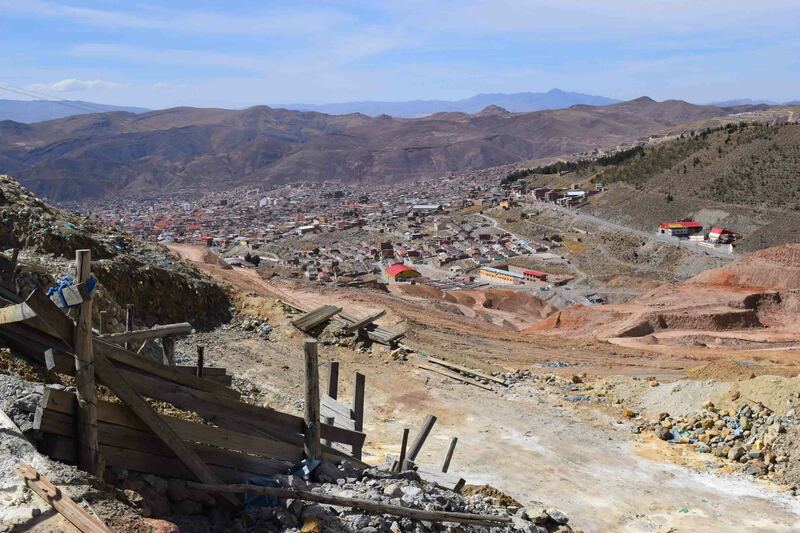 Potosi, Bolivia, a pleasant enough town in the centre, but the chief reason for tourists to go is to take a tour in the silver mines in the hills that surround this town. And that’s why I stopped there. 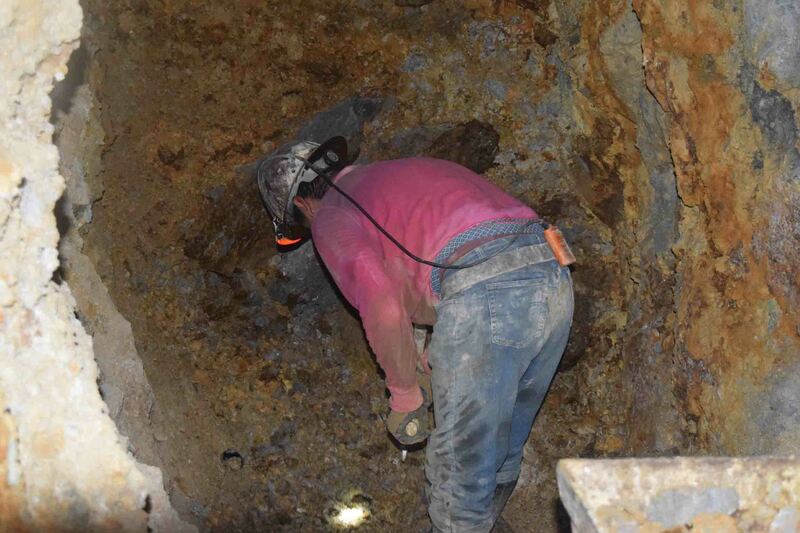 Why did I want to visit a silver mine? Well, to be honest, it was something different. I’ve visited mines before, but generally they have been closed for a long time (such as gold mines in Ballarat) or set up for tourists (salt mines in Poland and Romania). Potosi surrounded by the hills filled with silver. 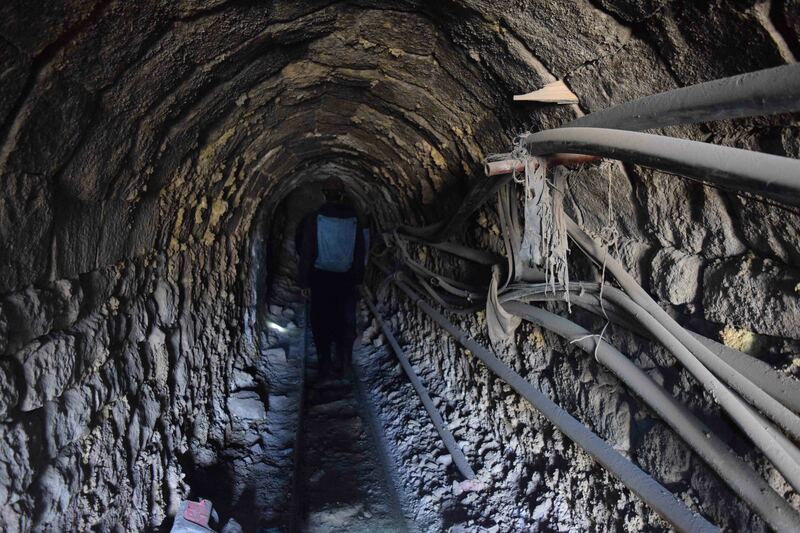 In Potosi the mines are still fully functioning, there is much more danger present, and you get to meet the miners. So, as I said something different. I went with Big Deal Tours, their guides are ex-miners (possibly some are current) and ours had had to quit mining because of injury. It’s good that the tour company could offer him a job. Essentially you are some (comparatively at least) rich dude strolling into other people’s lives for the sake of photos and possibly to feel good about yourself, pat yourself on the back because the company is ‘ethical’. Voyeurism. Is that what this is? I went in there, I was glad I did it was really interesting and powerful to hear about the life of a miner. The children of the miners often end up miners too, it’s a bit of a circle. People virtually living in the mines. If they are lucky (and skilled) and find enough silver, they can actually do all right and end up with a house and a decent life. 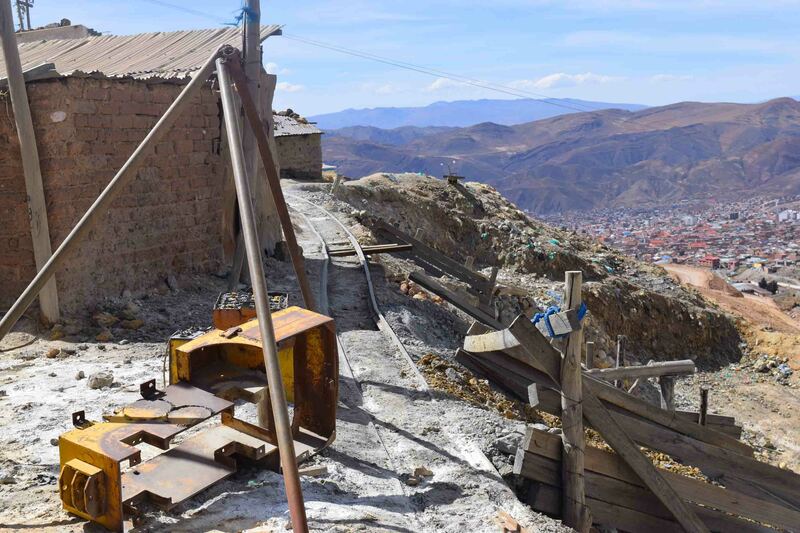 But the health risks associated with repeated exposure over years and years of working in the mines, not to mention the danger – dynamite going off everywhere. I visited, I listened, I really still can’t comprehend what the life is like to live. 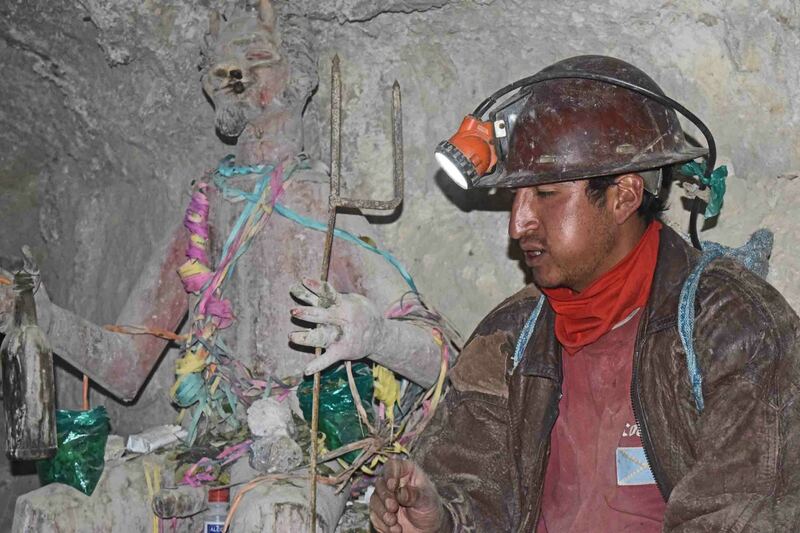 Our guide with a statue of the mine’s God, Tio. Our guide was wonderful, warm, friendly. We brought gifts for the miners we would meet – but it was the day after a celebration and there was only a couple of miners working. And the whiskey we brought as a gift they shared with the visitors. Inside the mine it was hard to breath – Potosi is something like 4000 metres above sea level and you in an underground tunnel where it can get very hot and is filled with dust. It wasn’t easy going when the roof became lower and I had to walk hunched over. One girl in our group had to turn back. A miner hard at work. So. Imagine every day in your life is like that. And that’s what I want to take away from the experience. It’s an unimaginable life for those who don’t have to live it. Every day is an incredibly hard slog. We are – I am – unbelievably lucky to have the life I have, to be able to visit places this far away. I’m still not sure I should have visited. I’m not sure it helped anyone except maybe our tour guide. But. There you are. I’d forgotten how amazing the view was 20 metres from the mine’s entrance. May the Journey Never End. It must be interesting to be inside the mining area – but looks like it is still not a safe job even in this century!